How the Democratic Socialists of America can win. By thinking beyond elections—just as conservatives once did. Bernie Sanders’ campaign increased the profile of American socialism, but it hasn’t led to a legislative wave—yet. 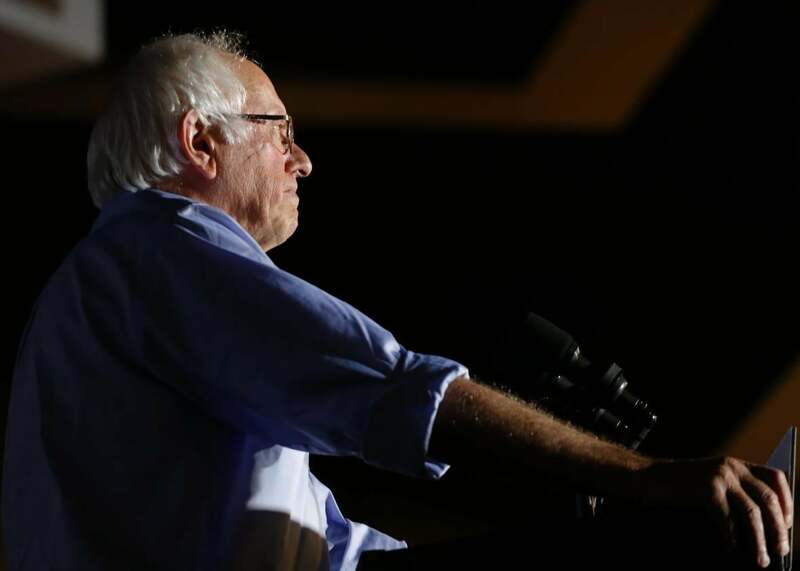 Above, Sanders speaks a rally in Covington, Kentucky, on July 9. In the 2010 midterm elections, the first of the Obama presidency, Republicans took back the House by gaining 63 seats, the largest midterm swing since 1938. Among the beneficiaries of that swing: the Tea Party, a patchwork of local organizations and larger monied groups unified by an anti-tax, anti-government, anti-Obama platform, whose candidates won 47 seats in Congress on Election Day. Millions voted in the election. According to an analysis done by the group Patchwork Nation, there were only around 67,000 members of Tea Party groups nationwide. Anyone puzzled by the attention increasingly being given to the Democratic Socialists of America should look to the Tea Party as an example of the organization’s potential impact. The DSA, which had its biannual convention in Chicago last weekend, has grown from about 8,000 members a year ago to around 25,000 today. That alone doesn’t make up a voting constituency of any meaningful size. Nor did the Tea Party’s base of activists. Nevertheless, from 2010 on, the far-right activist movement helped push a political message that resonated with a larger base of voters who became a force in primary campaigns. Granted, most of those candidates lost in 2010 and in the elections following, and in recent years the movement has largely faded from public attention. But the Tea Party’s influence on the Republican Party and on conservatism more broadly has been massive. The paranoiac populism that brought Trump to the White House entered the mainstream through the Tea Party’s rise, and many Republicans currently in office across the country owe much of their prominence to the movement, including Mike Pence, Ted Cruz, Marco Rubio, and Rand Paul. Beyond electing visible political leaders, the Tea Party additionally influenced the creation of the House Freedom Caucus as well as other legislative blocs at the state level. Even when it lost, the movement dragged the GOP further right by demonstrating the existence of a large constituency willing to unseat establishment Republicans in primary elections. One can imagine the DSA waging a similar insurrectionist campaign against the Democratic Party and mainstream politics more broadly. The DSA, of course, doesn’t have the kind of money that the Tea Party’s pseudo-grassroots groups received from wealthy donors. It also doesn’t have anything resembling the conservative media apparatus to elevate and amplify its rhetoric. But it does have a number of organizers fresh off a presidential primary campaign that garnered more than 13 million votes last year. Bernie Sanders’ success hasn’t yet translated to a sudden legislative wave: There are 14 DSA members serving in state and local offices around the country along with a few more unaffiliated socialists, so it remains to be seen whether the 2016 experience and the DSA’s organizational capacities can garner major electoral victories. But the DSA’s current size and geographic spread suggests that it could well be capable of joining the pantheon of other prominent left-of-center groups hoping to push Democrats left in 2018, including the Sanders campaign’s official offshoot, Our Revolution, as well as news-friendly organizations like Indivisible, MoveOn.org, Brand New Congress, and Swing Left. But the DSA is ultimately thinking much bigger than winning in 2018. It spends most of its time and resources on issue advocacy—organizing for minimum wage hikes, union rights, and other issues that often play out via local demonstrations, canvassing, writing, and holding public events. By design, much of this activity doesn’t necessarily sync with election cycles. Across the country, including areas far from traditionally liberal enclaves, the DSA is trying to build support for specific policies and an ideology—not just candidates. The left hasn’t done that kind of base-building en masse in a very long time. The goal is to get people to think differently about politics, not just get them to the polls. On the right, these were the kinds of efforts that made the conservative movement a movement half a century ago. Its wild success, which had been but a dream to activists who saw Barry Goldwater humiliated in 1964’s presidential election, has been funded in large part by major corporations and wealthy Americans who have benefited from the country’s rightward shift on economic policy. But the conservative movement was also the product of on-the-ground activism and organizing, dating back to the formation of groups like the John Birch Society and Young Americans for Freedom. In a few short decades, these groups and others helped commit roughly half the country to the ideological priors that had once made Goldwater unelectable. The conservative movement succeeded by pursuing not just votes, but minds. In social clubs and churches and in the pages of pamphlets and magazines, they made the case for conservatism as a set of organizing principles for American society. You would not be wrong to look at the current efforts of the DSA, and the growing network of leftist publications and podcasts like Jacobin and Chapo Trap House, and see a reverse portrait of the modern conservative movement as a young ideology. At local chapter meetings, held not just in New York City and Chicago but in places like Wichita and Oklahoma City, veteran activists and newcomers meet to learn about and debate political questions—the very civic space that many routinely mourn as America’s having lost. Attendants are then called to put what they’ve learned into practice—or praxis, as a Marxist might say. This can be done on behalf of disadvantaged people in their own communities, or in national campaigns like the push for Medicare for All. To turn the passion of those ground-level activists into transformative political power will require the DSA to continue growing—not as big as its detractors might think necessary, but a good bit. Should it do so, establishment Democrats could well find that the organization has the infrastructure and ideological coherence not just to mount real challenges to establishment politicians, but to rally a constituency large enough to challenge the liberal consensus itself. A constituency for socialism. Democratic Socialists Need to Get Along With Democrats. But for How Long? Can the DSA Build a New, Coherent Left Wing?